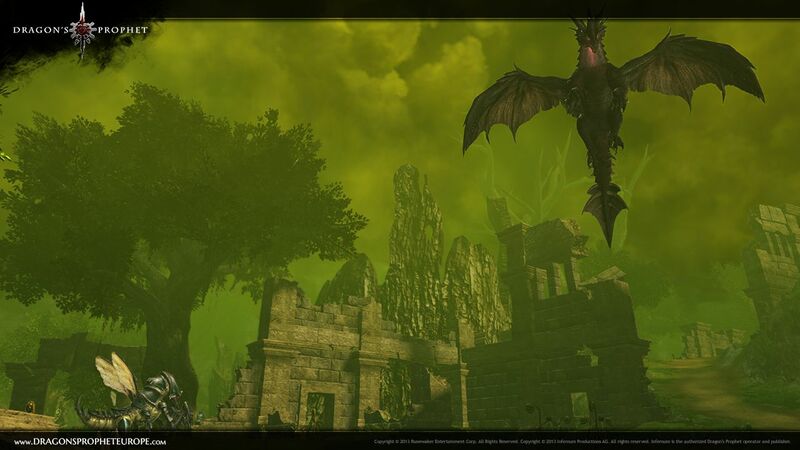 Dragon’s Prophet – Orlandra screenshots ! 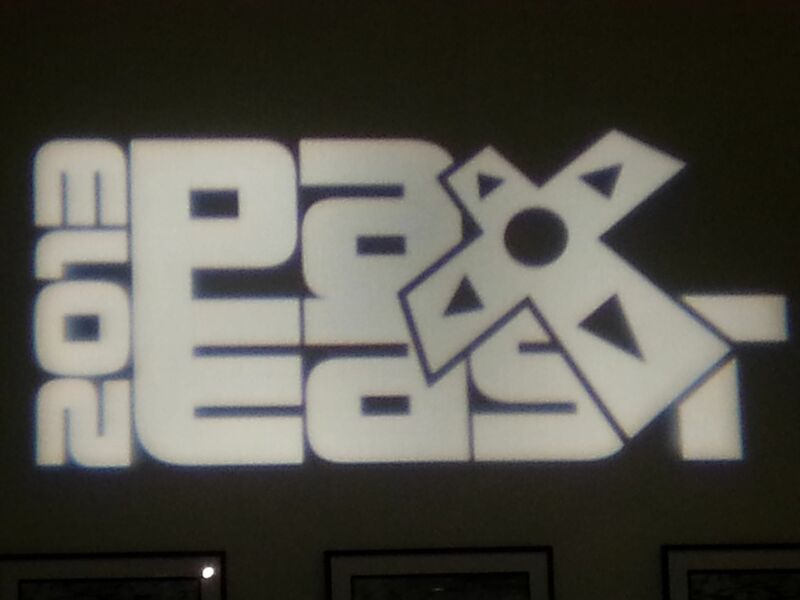 SOE All Access pass will get you all games for $14.99 this April ! @Polygon Great news ! Sony has the best deal's lately in gaming ! 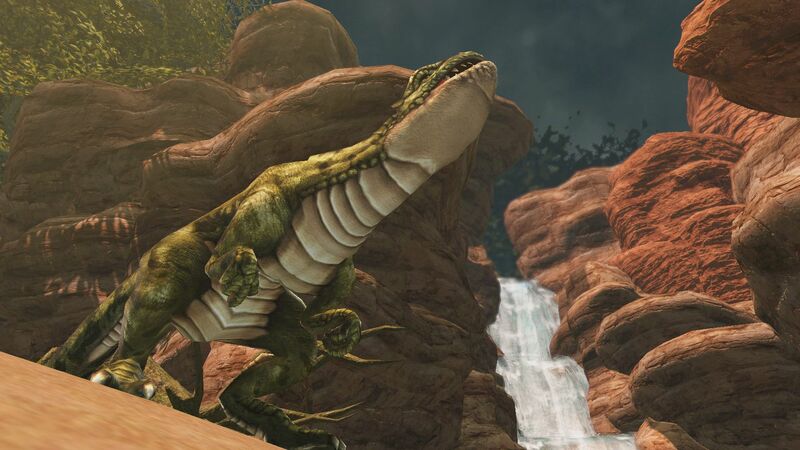 With an increased level cap of 94, and a new legendary dungeon to explore, there’s a lot to discover in Olandra. 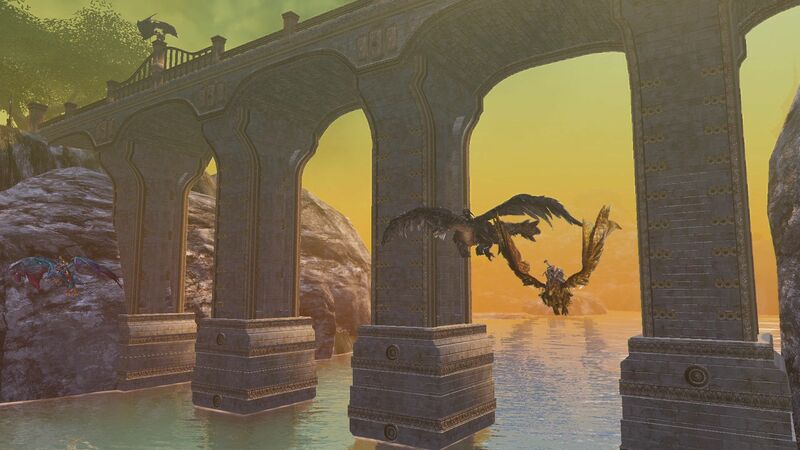 Blue skies and fresh coastal air bring a welcome change for adventurers who braved the harsh environments of Wintertide and Alentia. But looks can be deceiving, as Olandra is hiding a dark secret of addiction, corruption and power. 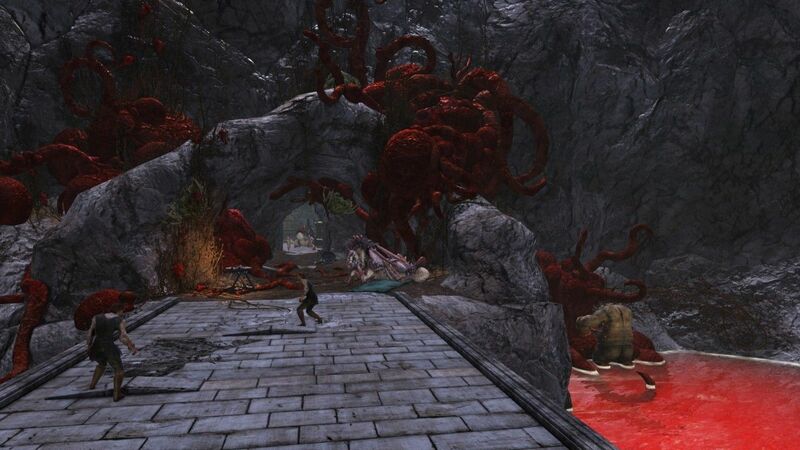 Dragon’s Prophet – New Screenshots ! 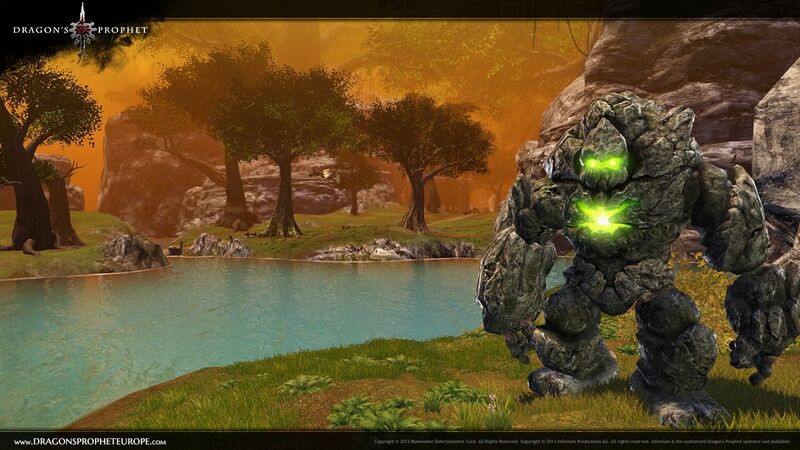 Highlord System – Alentia screenshots! 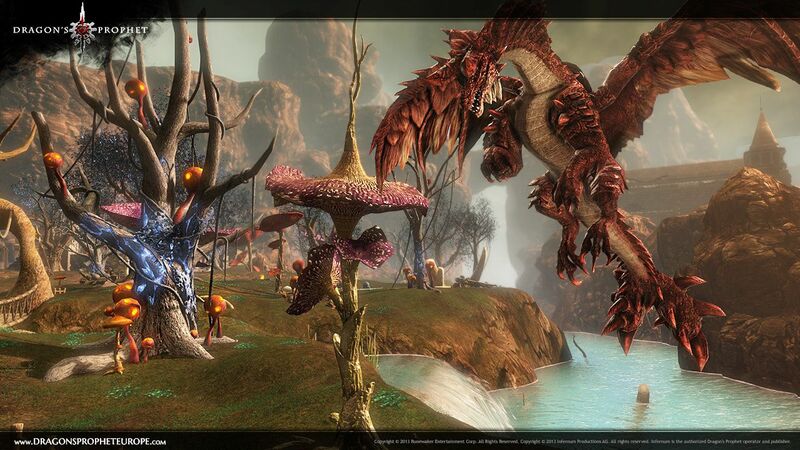 Berlin & Las Vegas, 2nd of August 2013: Infernum Productions AG and Sony Online Entertainment LLC (SOE) announced last night at the annual SOE Live fan event that the F2P MMORPG Dragon’s Prophet will launch in Europe and North America on September 18th 2013. 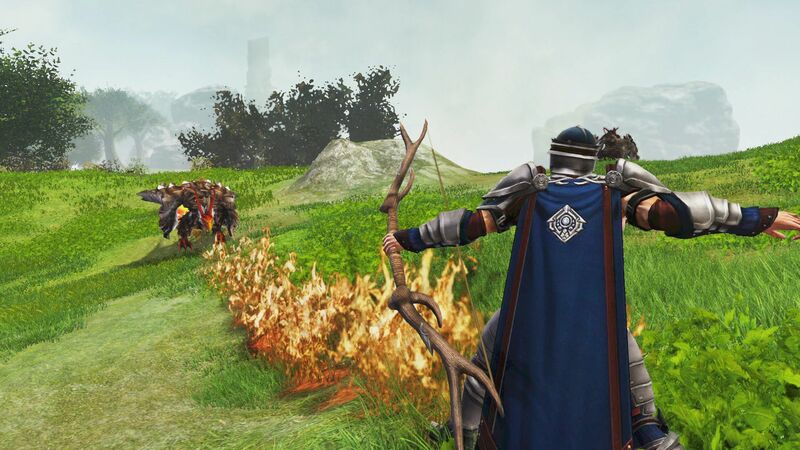 The fantasy MMORPG from the developers of Runes of Magic combines all aspects of a modern role-playing game and evolutionises the genre. 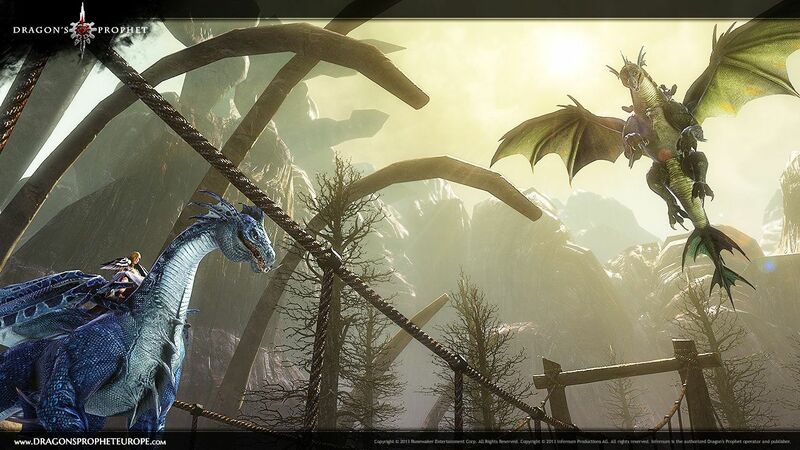 With more than 300 unique dragons, players can experience adrenaline fuelled moments in capturing legendary dragons, and then customise the dragons to how they see fit. 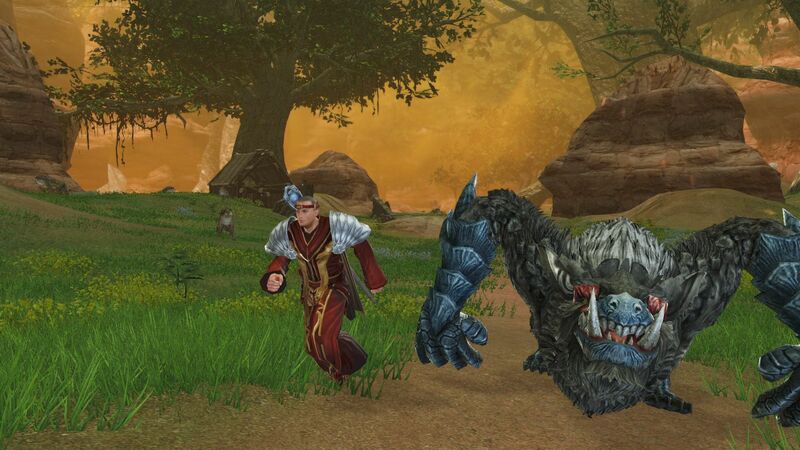 Currently, Dragon’s Prophet is in Open Beta and already enchants hundreds of thousands of players. During the current Open Beta phase, the regular improvements, updates and adjustments are illuminating the game in new splendour. 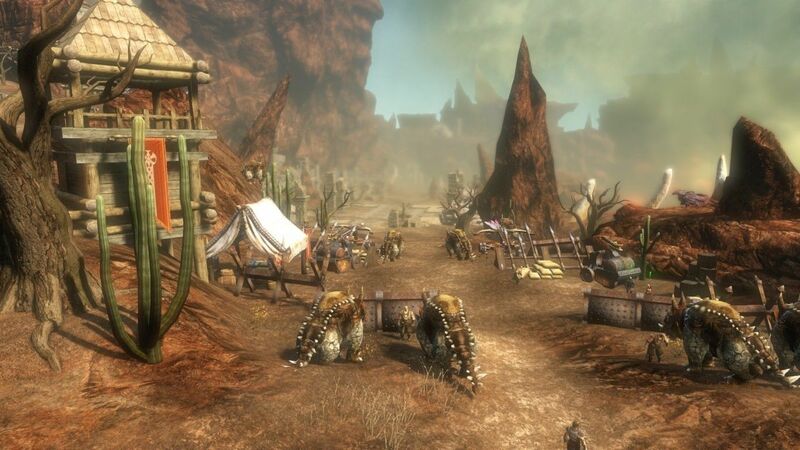 When the game launches, players can attend massive, cross-server PvP battles with siege weapons thanks to the introduction of the frontier system. What’s planned after the release? Dragon’s Prophet is currently in Open Beta and will be available as a Free-to-Play title on PC systems via digital download on September 18th 2013 in Europe from Infernum Production, and in North America from SOE or any of its digital partners. 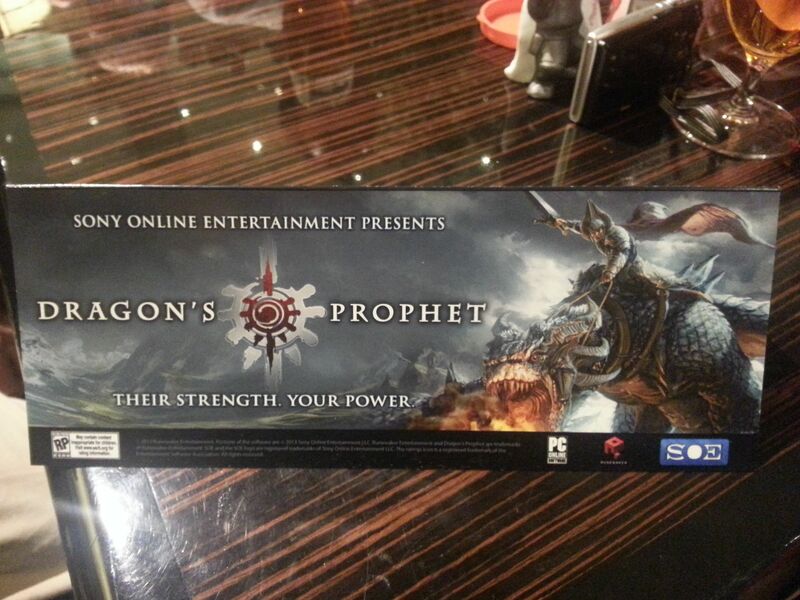 Further information, including the Dragon’s Prophet game download can be found on the official European Website. 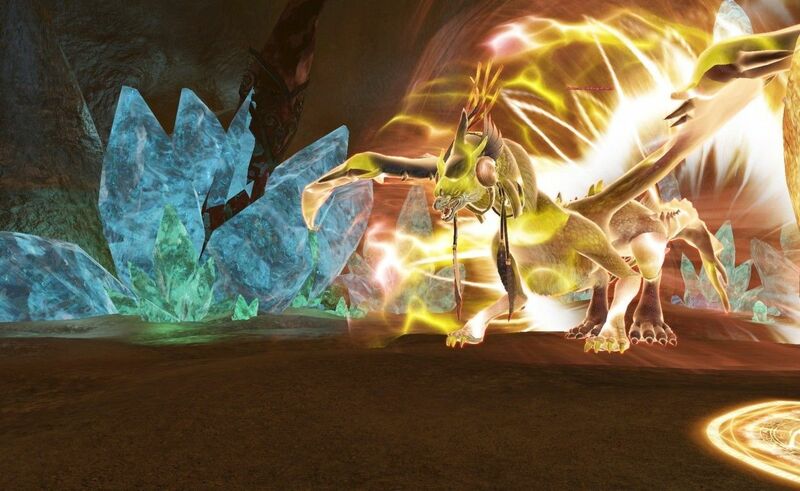 Dragon’s Prophet – Screenshots Galore ! 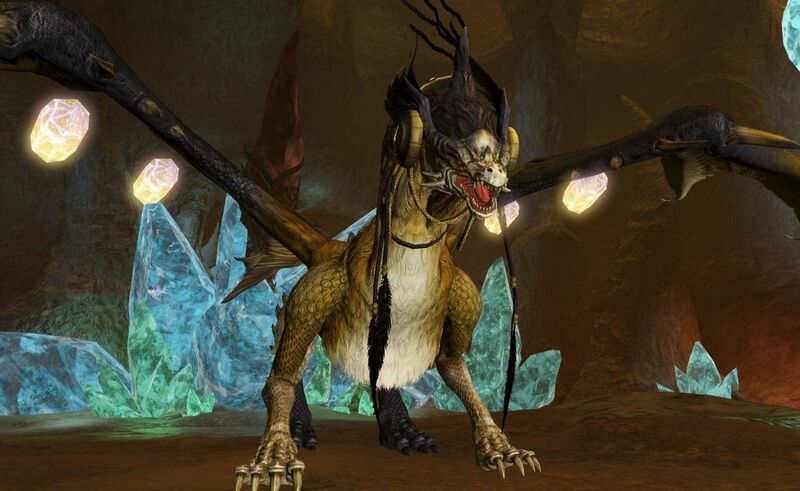 Dragon’s Prophet – Dragon Taming ! 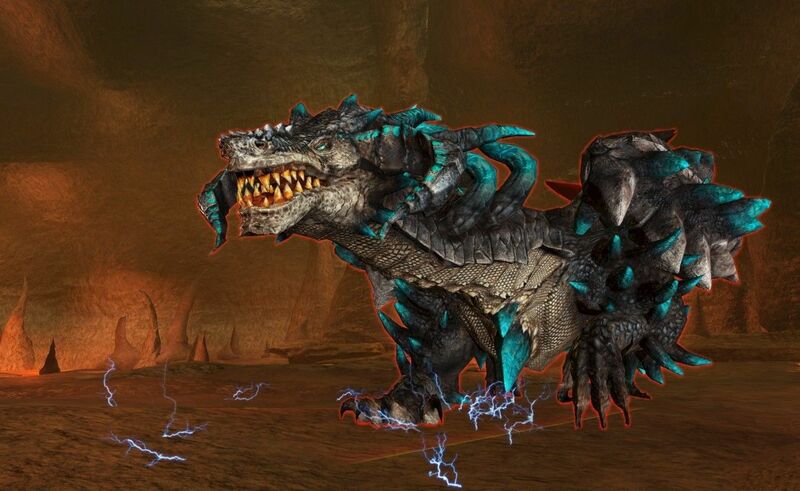 This is what happens when you tame a Dragon ! 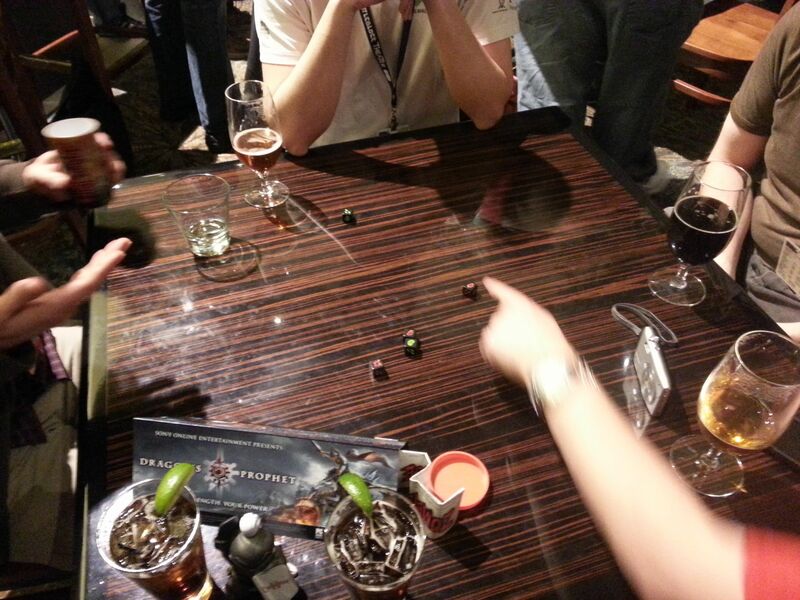 People were asking if Dragon’s Prophet is action game play, as you can see yes it is ! 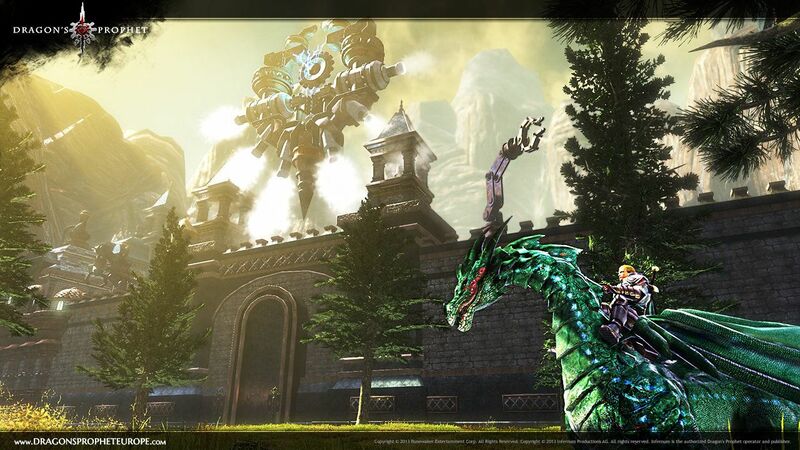 DRAGON’S PROPHET OPEN BETA IN NORTH AMERICA STARTING MAY 30th ! 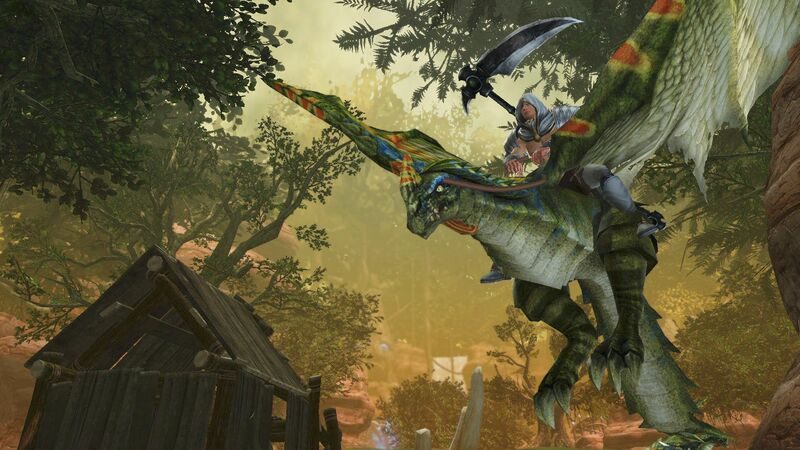 SAN DIEGO – May 21, 2013 – The time to CAPTURE, TRAIN, RIDE and FIGHT, hundreds of unique dragons is near. 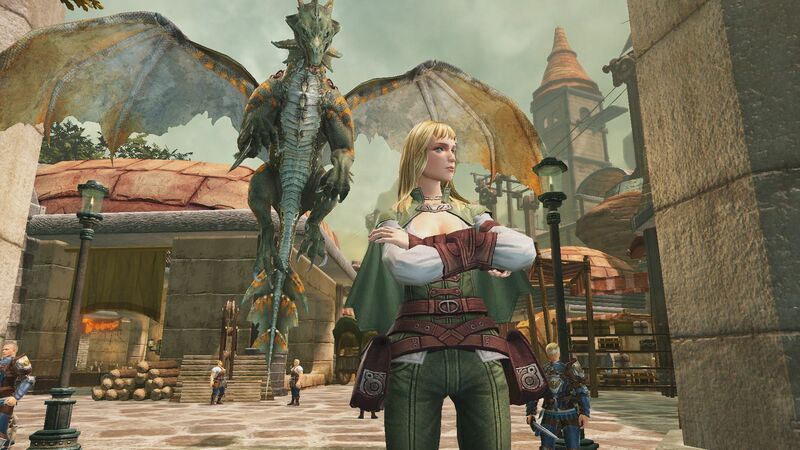 Today, Sony Online Entertainment LLC (SOE) announced that the Open Beta period for the free-to-play, massively multiplayer online role-playing game (MMORPG)Dragon’s Prophet is scheduled to begin in North America on May 30, 2013. 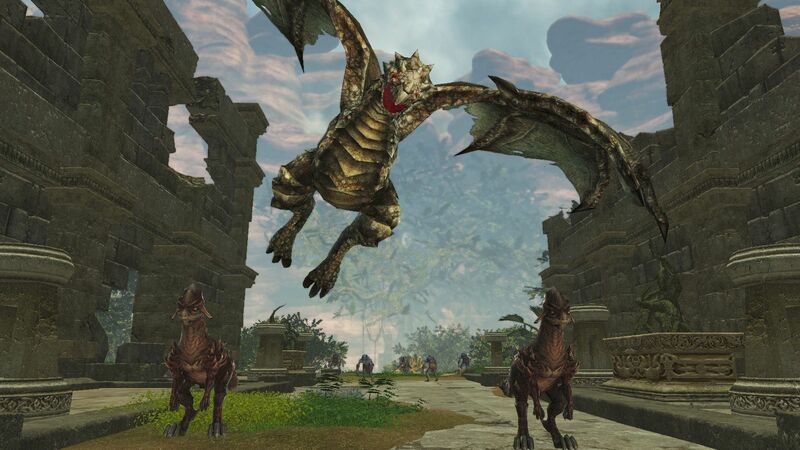 Dragon aficionados are invited to join current Closed Beta players on that date to adventure through the vast, diverse realm of Auratia, and see if they have what it takes to become the next Dragon’s Prophet. 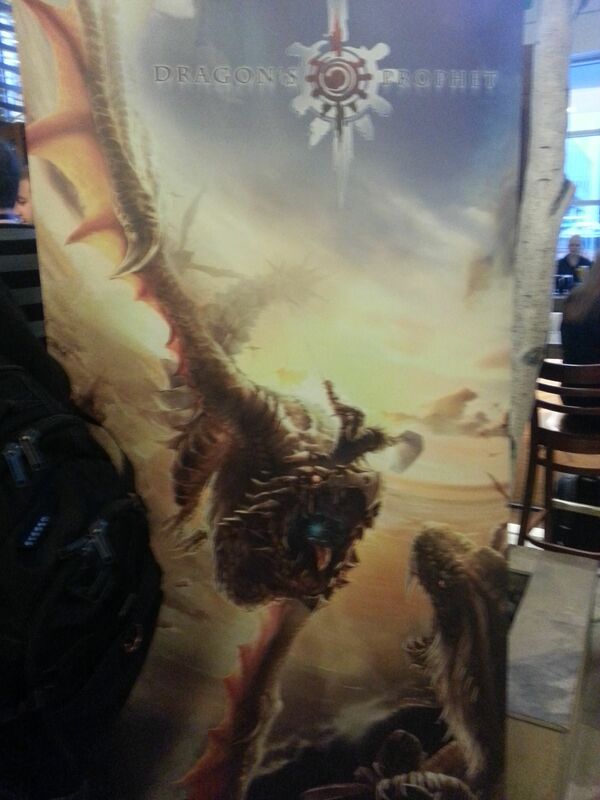 All Dragon’s Prophet Founders will have access to the Open Beta phase one day early on May 29, 2013. 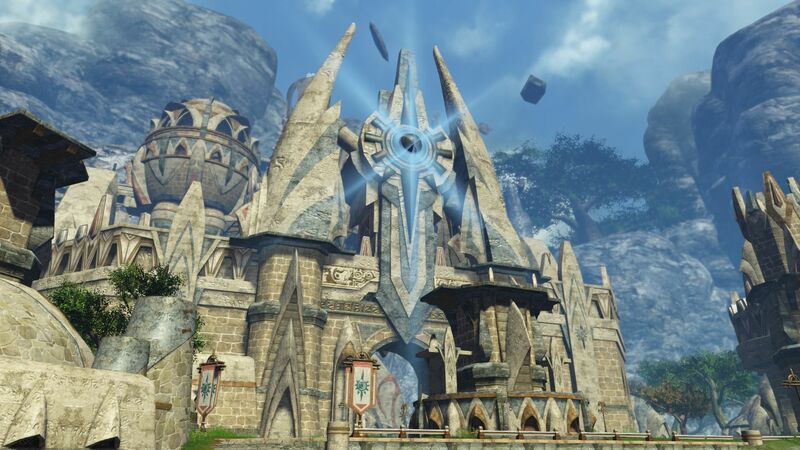 In conjunction with the announcement of the Open Beta date, SOE has also lifted the Dragon’s Prophet consumer Closed Beta Non-Disclosure Agreement (NDA). Beta testers can now openly share tales of their epic adventures in a land populated and ruled by dragon-kind. 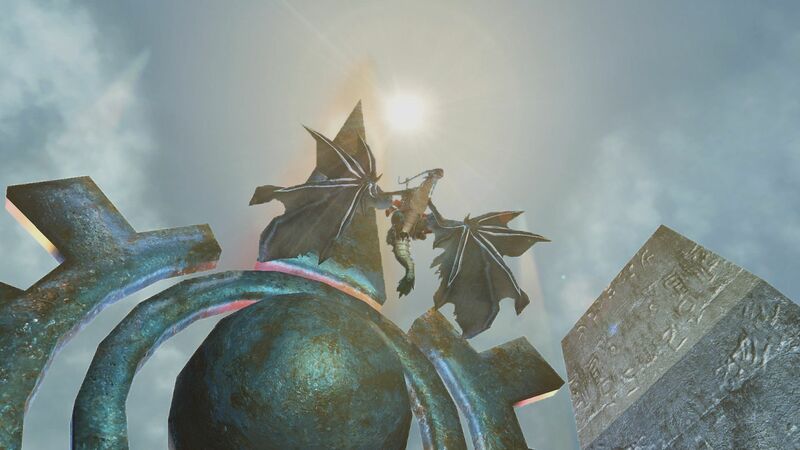 From escaping the scorching flames of enemy dragons to subduing winged-beasts found throughout their journey, players’ stories are not short of valor, danger and glory. 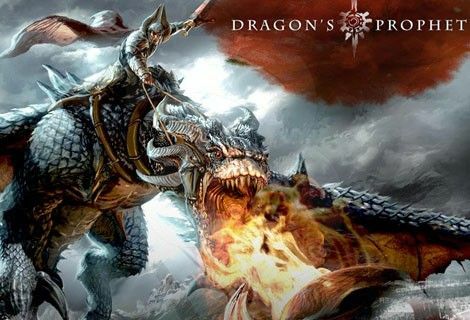 Developed by Runewaker Entertainment, creators of Runes of Magic, Dragon’s Prophet is currently in Closed Beta and is scheduled to begin Open Beta phase testing in North America onMay 29, 2013 for Dragon’s Prophet Founders. All other players will be able to join the Open BetaMay 30, 2013. 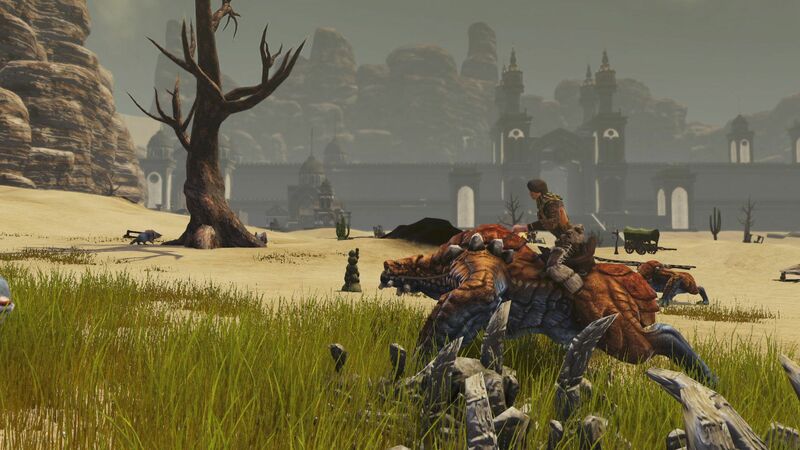 Players will be transported to the dragon-filled, beautiful world of Auratia, where they can capture, train, ride, and fight hundreds of unique dragons. 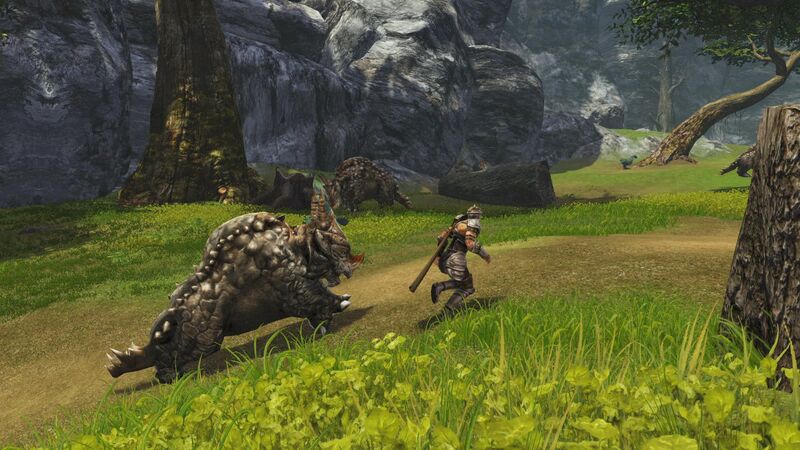 Dragon’s Prophet features an action-based combat system that gives players visceral battle action gameplay. 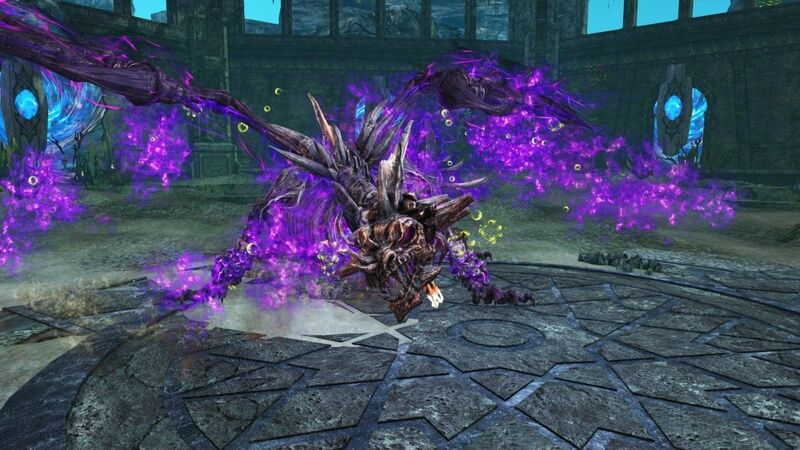 Set in a realm where dragons roam the land, sea and air, the game lets players band together to battle a variety of dragons as they work to restore order to the land from the evil Black Dragon that has escaped his eternal prison, and is more dangerous than ever. 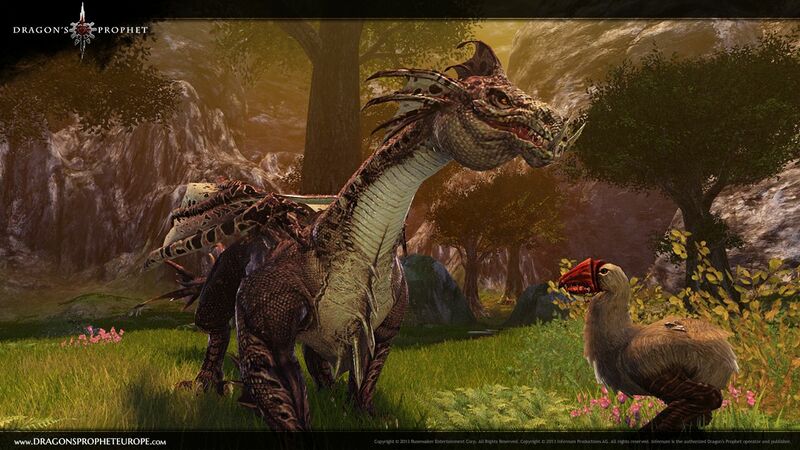 Dragon’s Prophet will launch as a free-to-play MMORPG in 2013 for PC systems via digital download. Dragon’s Prophet is not yet rated. Visit www.esrb.org for rating information. Berlin, the 18th of April 2013: Infernum, the Berlin-based publisher of Dragon’s Prophet in Europe, teases the housing system in a new video, released today. 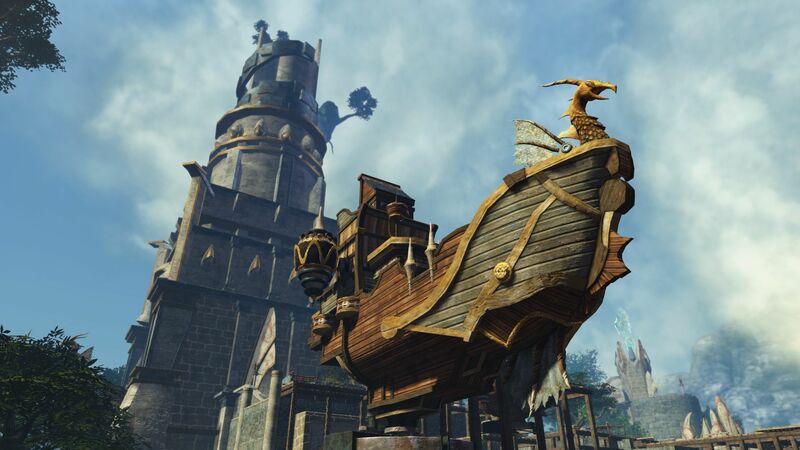 The sandbox aspect of Dragon’s Prophet will give the community the opportunity to build their own villages upon floating islands that fill the skies, where they can build and customize their very own homes. 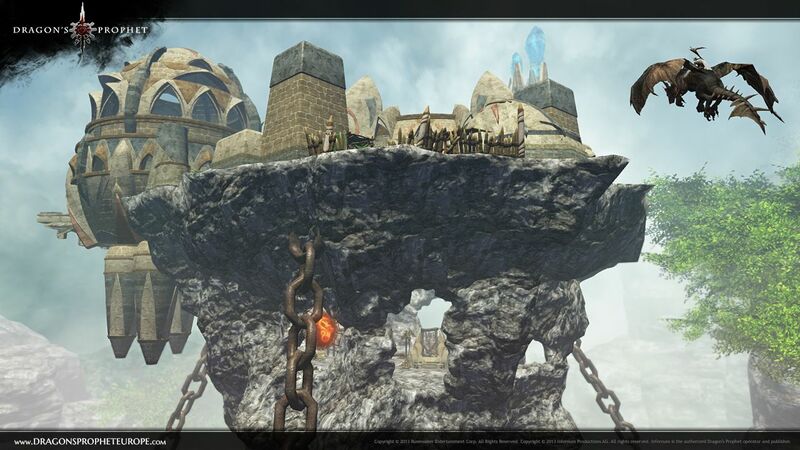 The Auratian Sky Archipelago will not only be a stage for epic cross-server PvP battles, but will also serve as an important haven for players to rest their weary bodies after long and intense guild conflicts. 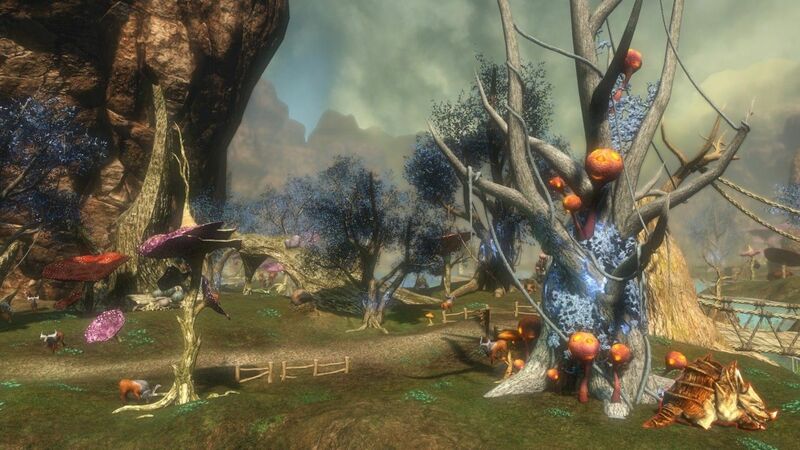 Auratians will have the opportunity to claim their plot of land upon one of the many floating islands where they can begin constructing their home. 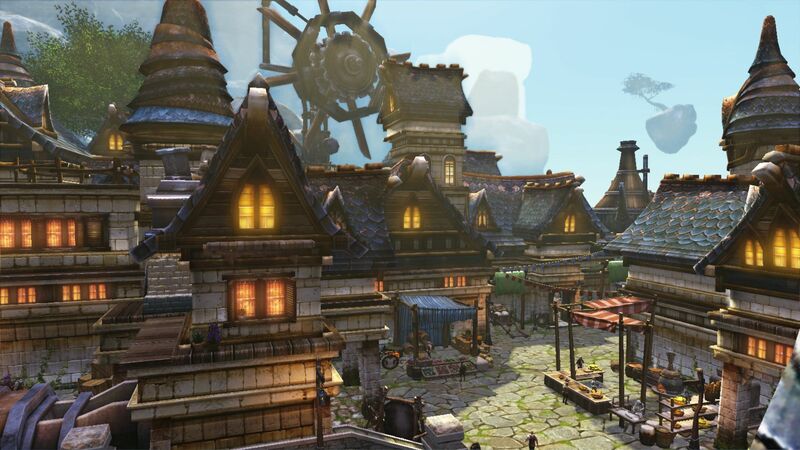 Guilds might want to make sure their members secure neighbouring plots to create guild villages or towns. 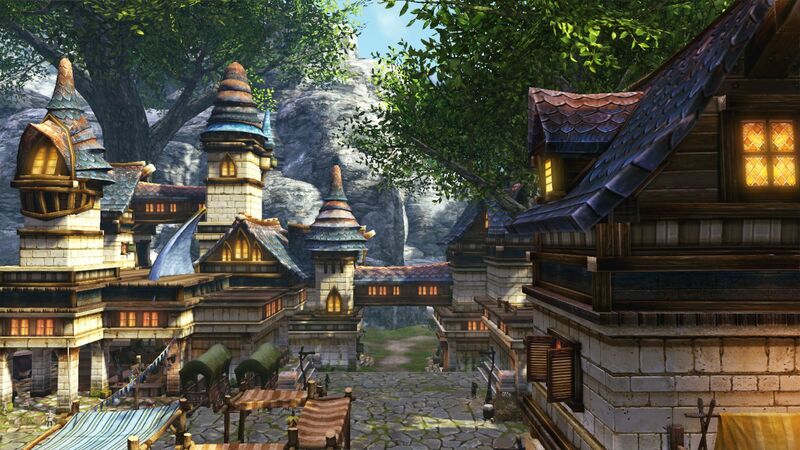 The number of plots to rent will directly depend on the size of the island, most of them sheltering a couple of villages and a massive castle which will play an important part in guild battles. From a simple ground-level shed to a magnificent mansion, residents can build, customize and furnish their house however they want. 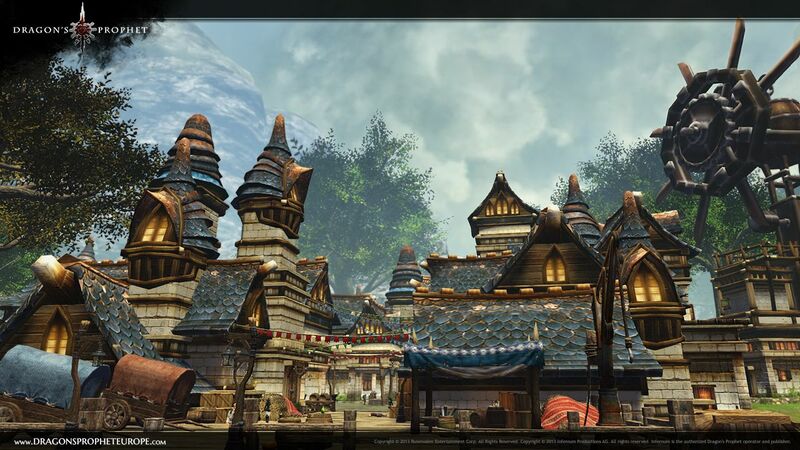 Furniture can be crafted by specialists or purchased from merchants in the town tavern or from skilled woodcrafters. At the start of the Open Beta more than 200 objects are available. However, players should be careful not to forget to pay rent: they could end up losing their land and being forced to search for another neighborhood. But they shouldn’t worry too much: players can relocate to another plot of land with their house and furniture. 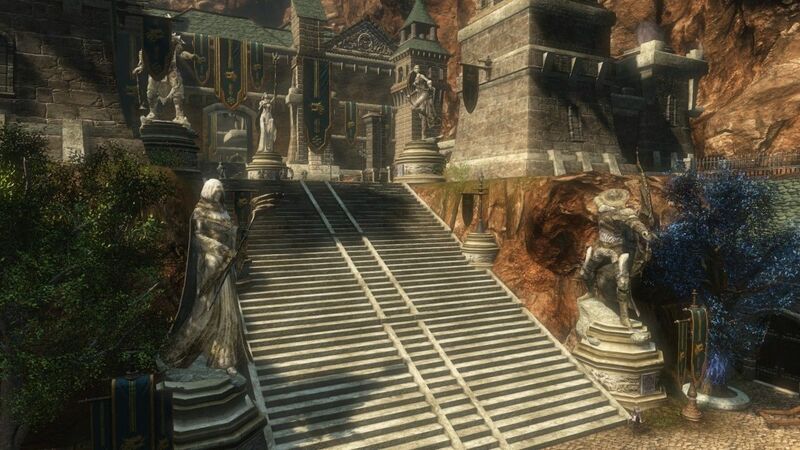 Dragon’s Prophet’s Housing System will also give residents the chance to showcase their proudest achievements in the world of Auratia. 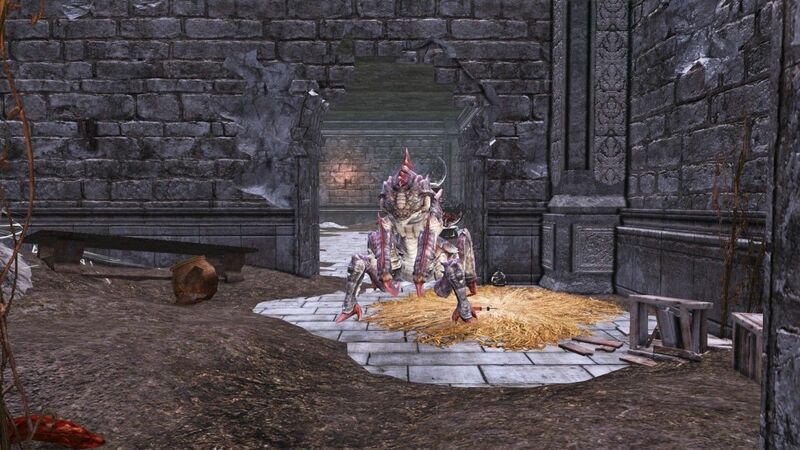 After defeating fearsome boss monsters, they can collect a part of their foes’ body, such as the head, and use it to create a fearsome trophy to display in their home. The housing system has been designed so that residents can also see how their neighbors’ homes are decorated, ensuring stiff competition among Auratia’s most passionate home decorators. Home owners can also grant friends with permissions to access their house and certain inventory, rearrange the furniture and use the facilities at will. 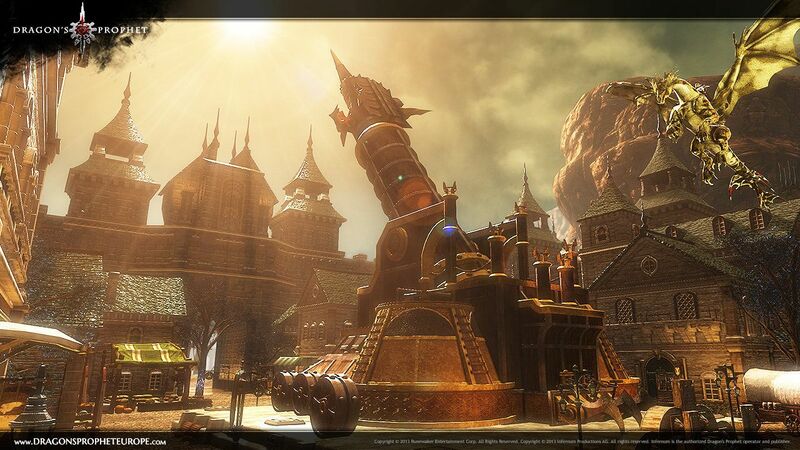 Many more features await players of Dragon’s Prophet. Those interested in the game can register on the website for a chance to join the Closed Beta, or purchase a Founders pack to secure access today and obtain a host of other in-game bonuses. 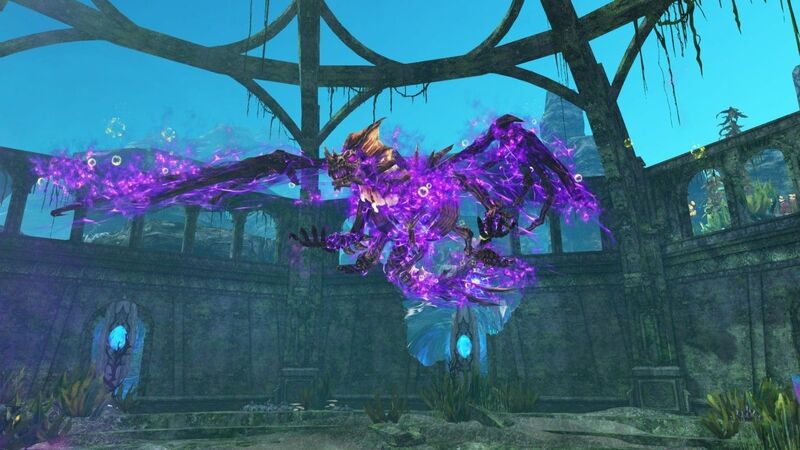 This critical next step in Dragon’s Prophet’s ongoing development will see a client update with five expansive areas and their instances awaiting the growing Closed Beta community. 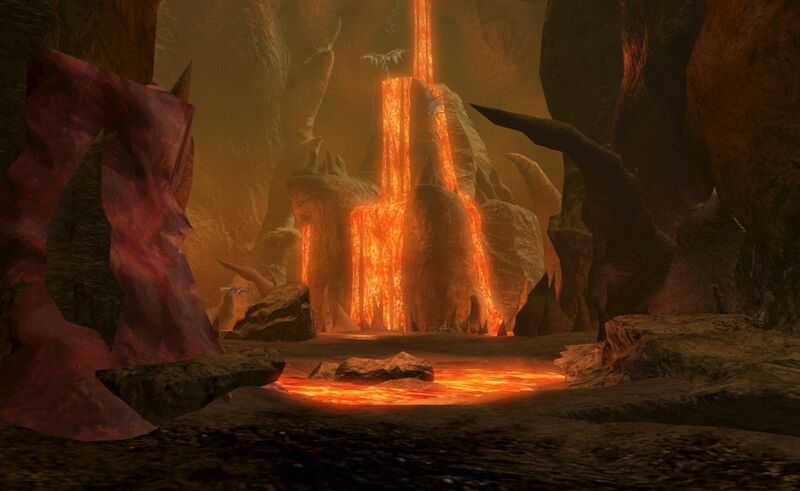 Impressive landscapes inhabited by new dragonsare awaiting testers in the latest update. 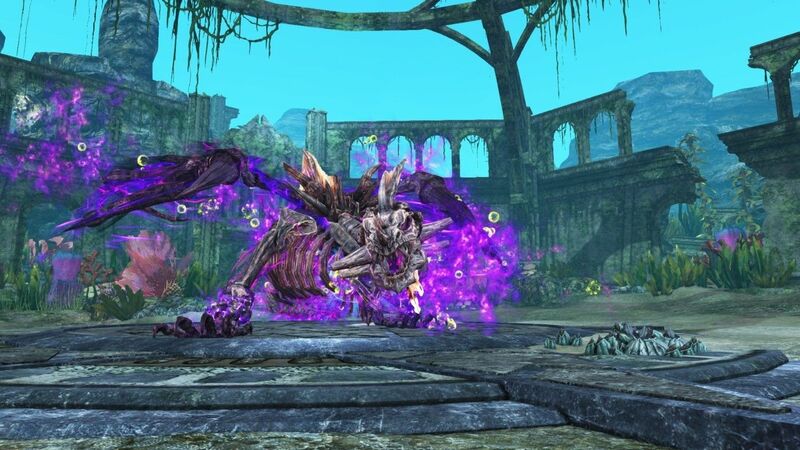 New functionality and game mechanics will also arrive tomorrow, which will be placed under heavy scrutiny by veteran MMO players who’ve been working closely alongside Infernum’s QA department to help bring Dragon’s Prophet closer to release. 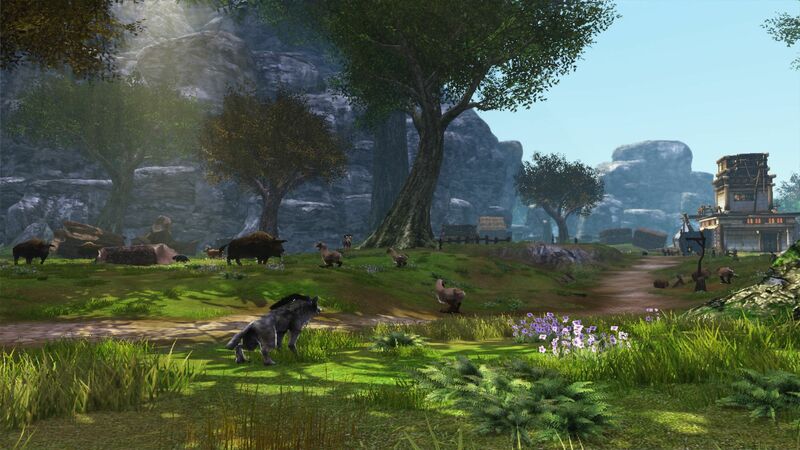 Social Rewards will grant bonuses for players who want to collaborate together, Achievements System have arrived and the Crafting System has undergone a complete revamp. 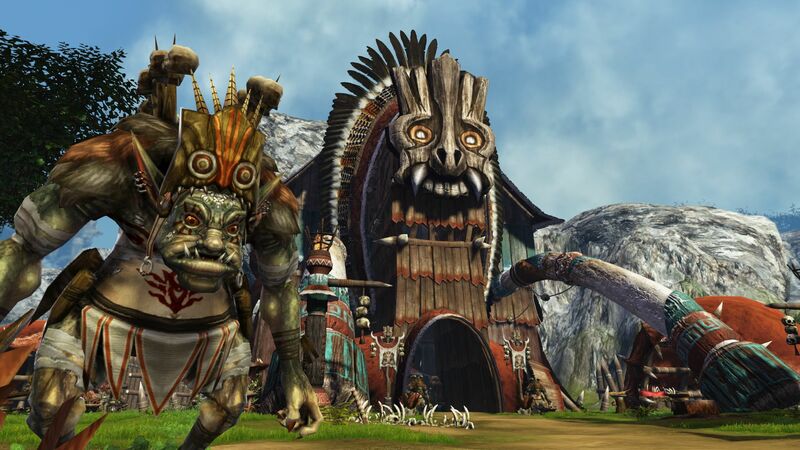 During the first phase of Closed Beta, RENA, Runewaker’s proprietary game engine has raised questions from testers who’ve been wondering how the technology works. 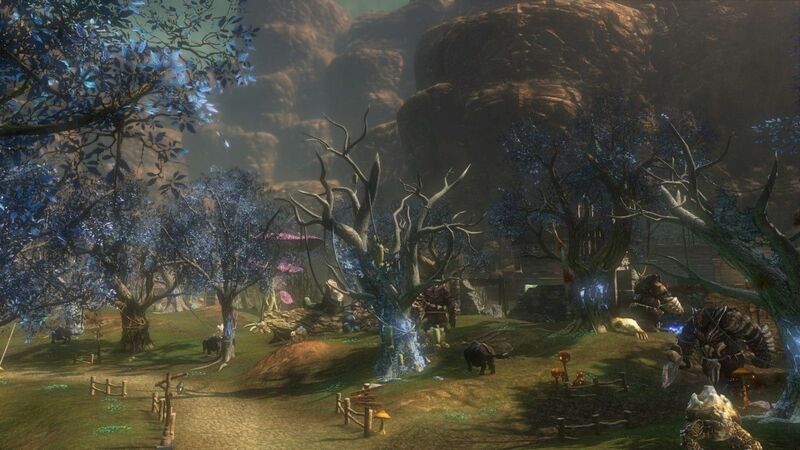 The graphics engine utilises a combination of normal and gloss mapping coupled with a deferred rendering technology, ensuring the game’s environment remains as immersive and realistic as possible with optimal performance. Shading and lighting are also part of the experience, thanks to the use of motion blur, advanced anti-aliasing technologies (such as FXAA and TAA) and full-screen horizon-based ambient occlusion. 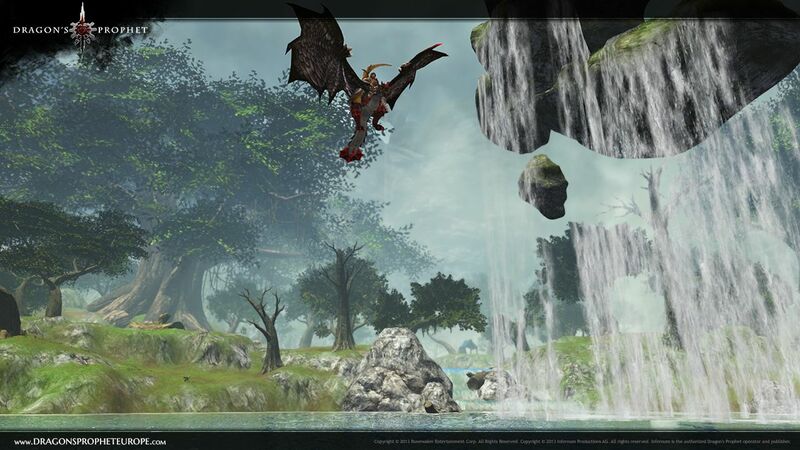 Dragon’s Prophet utilises the DirectX 10 technology for performance reasons, and will integrate the strongest aspects of DirectX 11 as soon as it is released. 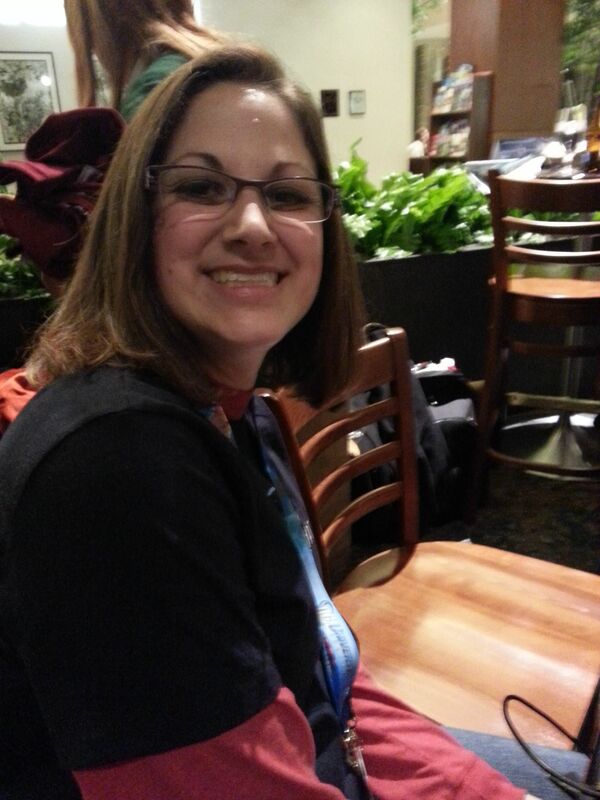 The plot thickens, the development journey continues! 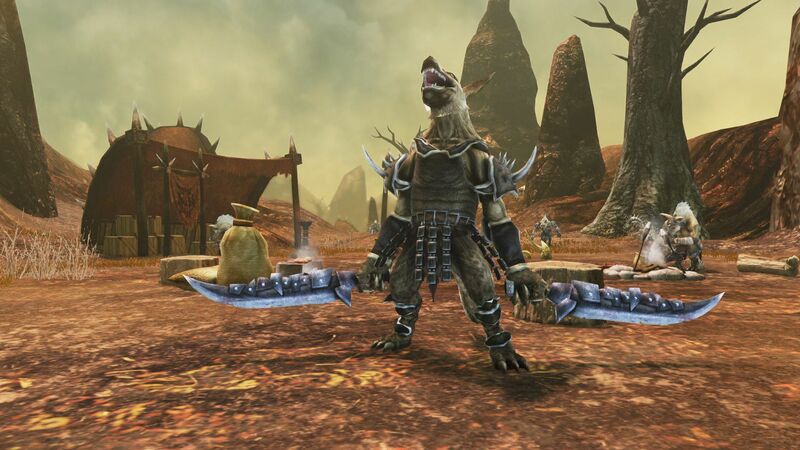 Dragon’s Prophet is a new online role-playing Game which features all virtues of a classic MMORPG and “evolutionizes” them. 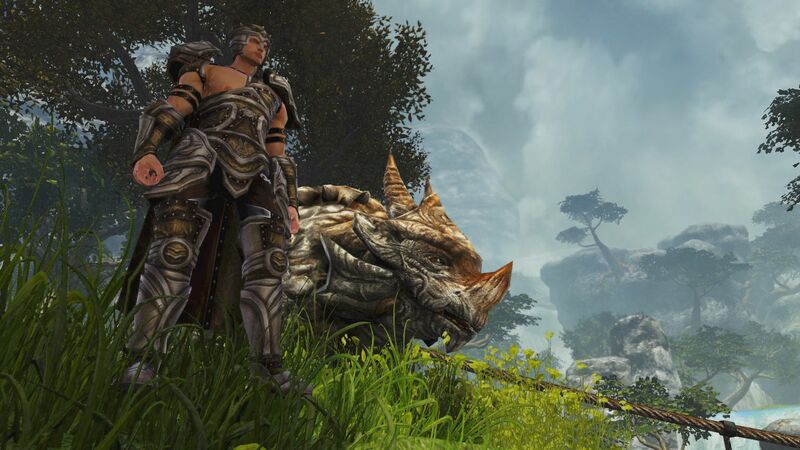 Players will experience immense dragon features and an epic story in a modern fantasy world featuring next-gen elements such as action-based combat, deep character development and the extensive cross-server Frontier PvP system. 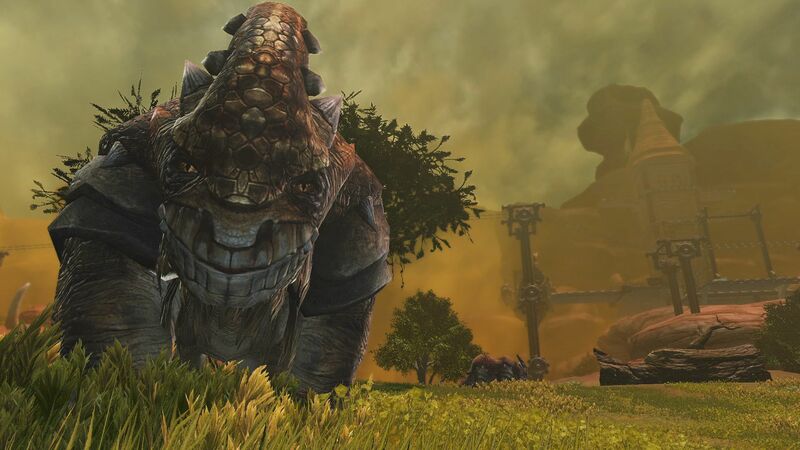 Dragon’s Prophet is being developed by Runewaker Entertainment, known for their successful blockbuster MMO Runes of Magic. 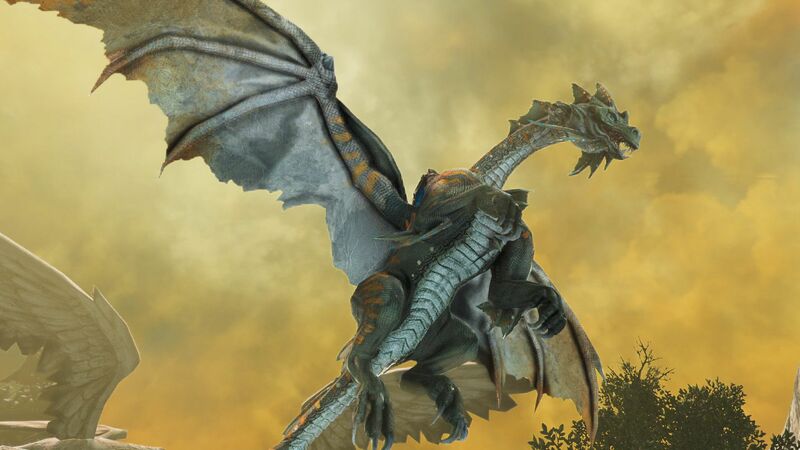 In 2013, Infernum will publish Dragon’s Prophet in Europe, together with co-publisher Deep Silver. 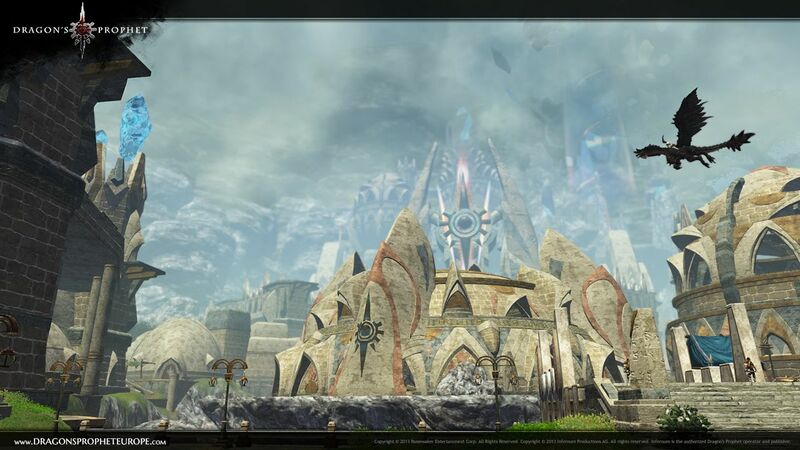 Dragon’s Prophet – Laedis Zone Screenshots ! I can’t wait to try this game ! 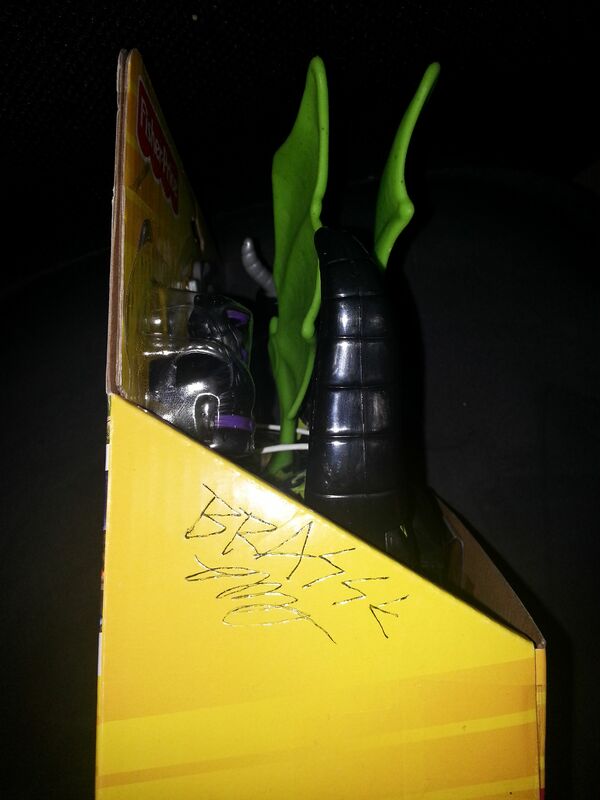 Fight and live with Dragon’s ! 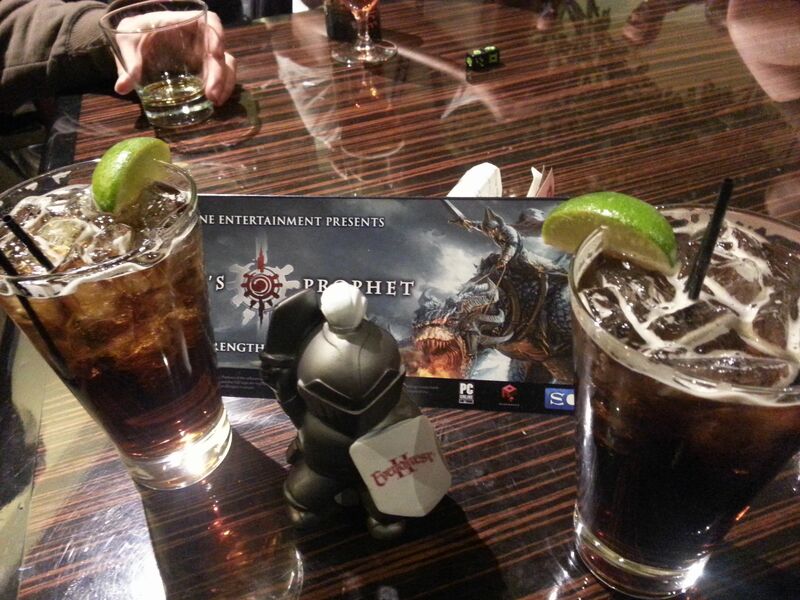 On Friday night we went to the SOE Dragon’s Prophet party. 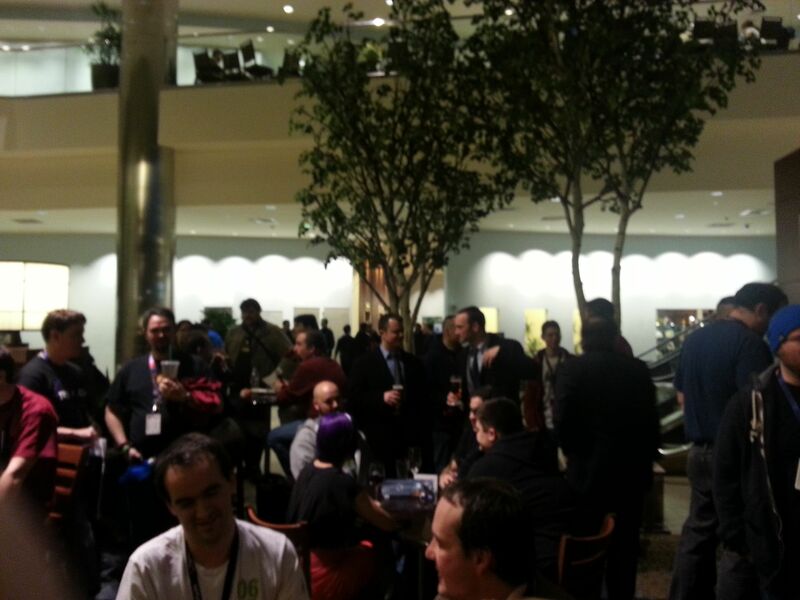 Had a great time,free food and drinks how can you beat that. I found out in Dragon’s Prophet every one is a DPS class. 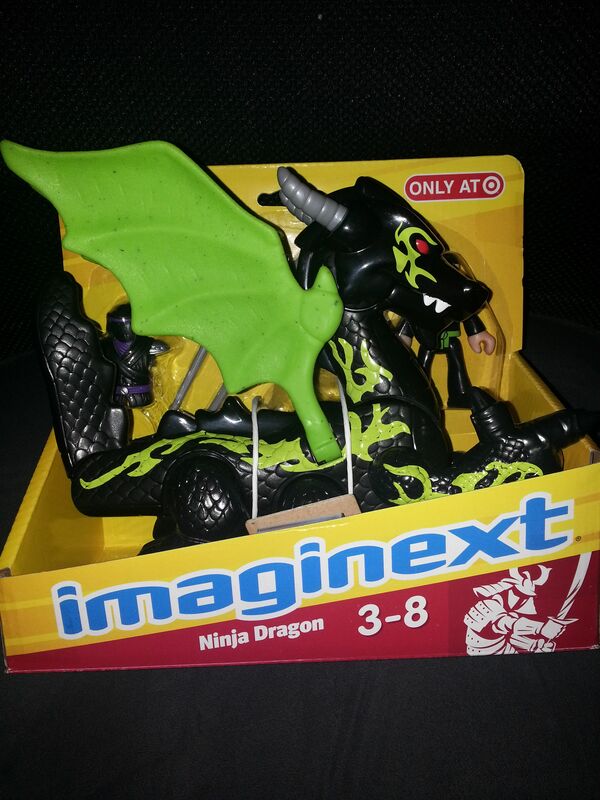 Dragon’s are the main focus of the game. 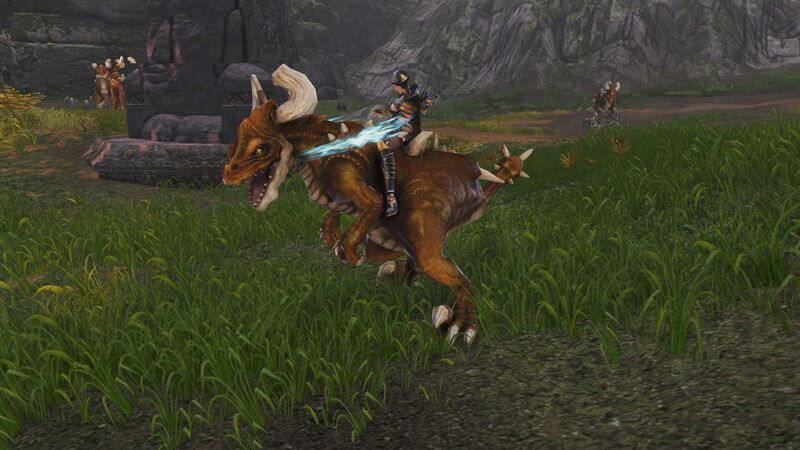 They do every thing heal,DPS..etc .They are your mounts too. I can’t wait to try this game ! 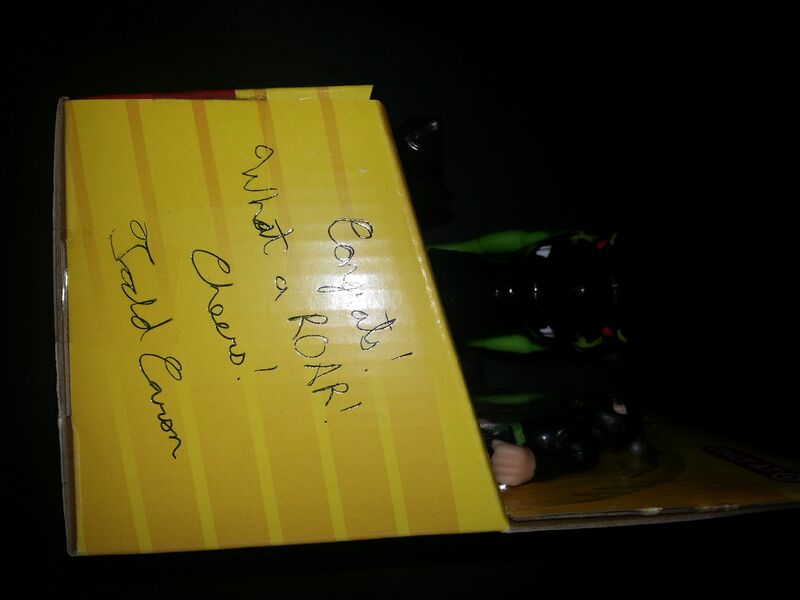 I won the Dragon Roar contest they had ! Funtimes ! 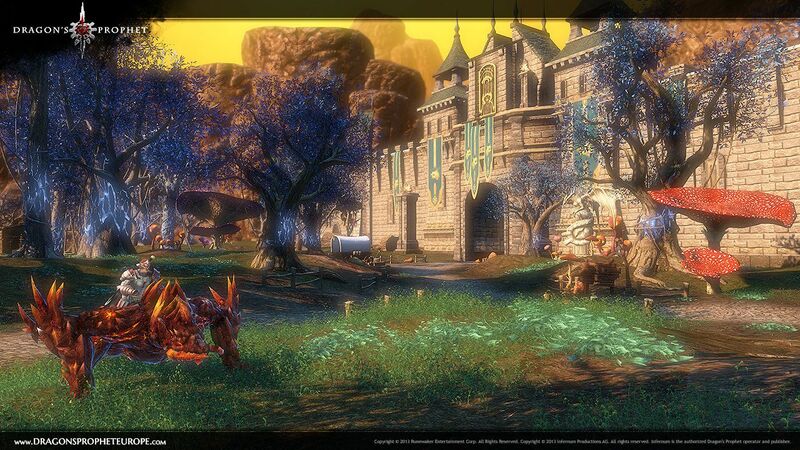 Dragon’s Prophet – Will It Be A Great Free To Play Fantasy MMO ?